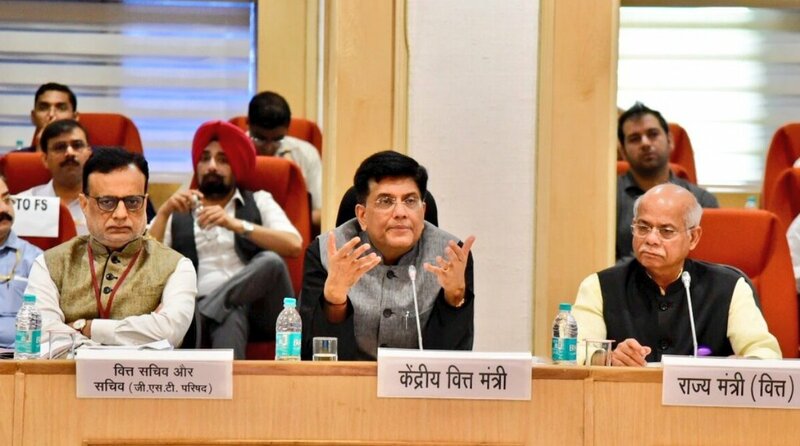 The Union Government exempted sanitary napkins from the Goods and Services Tax (GST) net and slashed the rates of many other commodities in the 28th GST Council meeting chaired by interim Finance Minister Piyush Goyal in New Delhi. In what comes as a major relief for women across the country, Goyal said the tax on sanitary napkin has been abolished. At a press conference held after the meeting, the interim FM, who is handling the ministry in the absence of Union Minister Arun Jaitley, listed out the products which will now attract lower GST rates. “GST on footwear up to Rs 1000 has been reduced by 5 per cent. There will be no GST on stone, marble, rakhi, wooden deities, sal leaves, etc,” Goyal said. 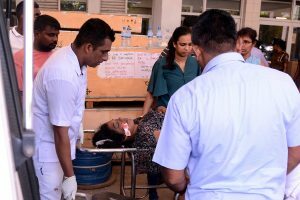 The minister said that Lithium ion batteries, vacuum cleaners, food grinders, mixers, storage water heaters, washing machine, head dryers, hand dryers, paint, varnishes, water cooler, milk cooler, ice cream coolers, perfumes, toilet sprays and toilet preparation will now be in the 18 per cent slab instead of the 28 per cent slab. “GST on handbags, jewellery box, wooden box for paintings, glass artware, glass statues, stone eartware, ornamental framed mirrors, handmade lamps has been reduced to 12 per cent,” said Goyal. Imported urea, hand-made carpets and floor coverings will now attract a reduced GST of 5 per cent. Goyal said that the GST council will now focus on job creation as well. The government also said that those with turnover of up to Rs 5 crore can file returns quarterly but will have to deposit GST monthly. In a major relief for traders in some north-eastern and hill states, the government also raised the exemption limit in Assam, Arunachal Pradesh, Himachal Pradesh, Meghalaya, and Sikkim from Rs 10 lakh to Rs 20 lakh. “Reverse charge mechanism has been stalled till 30 September 2019,” said Goyal adding that the RCM committee will study the system till that time. “Simplification is our priority. Soon we will link RFID tags with Goods and Services Tax Network (GSTN) for transporters. This will reduce harassment of transporters,” said the interim FM. “Registration will be cancelled on the day of application of cancellation and no return will have to be filed,” he said. Goyal said that a special meeting of GST council will be held on 4 August in Delhi which will focus on MSMEs (Micro, Small and Medium Enterprises). The decisions taken at the GST meeting came a day after the NDA government led by the Bharatiya Janata Party (BJP) defeated the opposition led no-confidence motion in the Lok Sabha. The decisions taken today will be applicable from 27 July.